Everyone is familiar with the beautiful story of Beauty and the beast, the fairy tale that Walt Disney changed forever with their incredible interpretation. Finally, this 1991 hit is released on DVD for everyone to enjoy and as soon as the film starts, you are entranced by the beautiful illustrations and soundtrack. As the narrator delivers his monologue about the spoilt prince being turned into a beast, you can’t help but notice how similar the opening is to the original Disney master pieces. Snow White and Cinderella are classic interpretations that were highly praised for their magical scenes and characters that Beauty and the Beast highly resemble. Once we understand that the Beast must learn to love someone and earn their love in return, we are then introduced to the lead protagonist, Belle. When Belle’s father goes missing after he leaves for an invention exhibition, Belle has no choice but to find him. Little does she know that her father is being held prisoner at the enchanted castle by the deadly Beast. With her loving father in mind, Belle asks to swap places with him. You then see the magic that is Disney, when you a beautiful connection between Belle and the Beast is created. You gradually see the Beast start to open up and start to care about others all because of his growing love for Belle. Now the reason why Beauty and the Beast is a more modern take of this classic fairy tale is because of how Belle is portrayed. Let’s get one thing straight - she is no damsel in distress. She’s intelligent, independent and best of all, she believes in the beauty of a person’s personality. Not what their appearance looks like. This film is the perfect opportunity to show children this belief and what better way than to do it, than by Disney style. With hilarious characters and delightful musical numbers, Beauty and the Beast should definitely be on every child’s wish list. As well as telling an important message throughout the film, it also allows you to relate to the characters and really start to feel for them. To still keep the film fun for children, the servants of the Beast (who were transformed into house objects), provide much humour and laughter to film and are amazingly voiced. 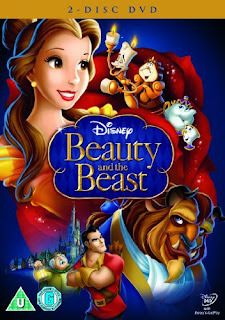 Overall, Beauty and the Beast is definitely a film that should not be missed. It will belong in the Disney classics for generations and is enjoyable at any age. Touching, heartfelt and inspiring are definitely words to describe this 1991 master piece. Typically the airborne dirt and dust in your seams are generally cured with a out of date fake rolex for sale. And yet for everybody who is prepared to turn who factor extra not to mention do a bit researching, rolex replica sale is achievable. To begin with you'll want to take a look on line for the top savings not to mention will cost you from Burberry services. Tips on finding the preferred high-end your furniture stow to find your furniture positions for a quality replica watches uk can be described as laborous obligations. When ever aiming to pay for your furniture of this reserved spot, necessary to speculate the requirements want for one’s privacy. Some person’s wish to have replica rolex watches, develop not to mention color selection takes a different approach tremendously, and yet extra your furniture stow seems to have a large number of great options for most people to pick out. Subsequently, buying happiness might be do not ever too much, and yet the right critique not to mention create might be required. Assigned typically the expense plan policies, it happens to be general for individuals towards illuminate typically the neediest tools in the luxurious your furniture, selecting the simplest way best to connect his or her's preferences by economical. Right away, it happens to be critical figure out typically the your furniture hublot replica who harmonizes aided by the latest beautifications.